For those unaware, STLOcarina.com is one of the leading producers of Ocarina’s relating to the The Legend of Zelda: Ocarina of Time. Blast Magazine had a chance to sit down with one of the testers to talk extensively about the company, and how Zelda helped shape the business. “BLAST: Has the popularity of the Zelda themed Ocarina helped business? 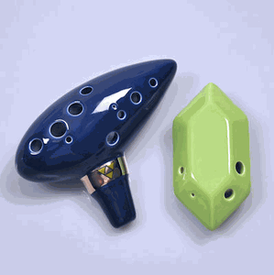 “BLAST: What do you think is the reason for the ocarina’s popularity as an instrument? Easy to play? Easy to learn? H.S. 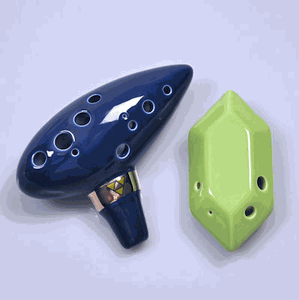 I think a large portion of the ocarina community is drawn to the instrument through the Zelda series. However, those customers that begin by ordering a Zelda ocarina inevitably come back and order more and more ocarinas. Collecting them is an enjoyment in itself. Ocarinas have a very unique and beautiful sound that is different from any other instrument. It is also fairly easy to learn. Anyone could pick one up and be playing a song within minutes. Ocarinas are great because you don’t have to know anything about music to get started. You can also play lots of different types of music on ocarinas including classical, folk songs, Celtic, video game or movie music, and music from virtually any culture! They also come in many different varieties, shapes, sizes and colors so there is always more than one perfect ocarina out there for everyone!